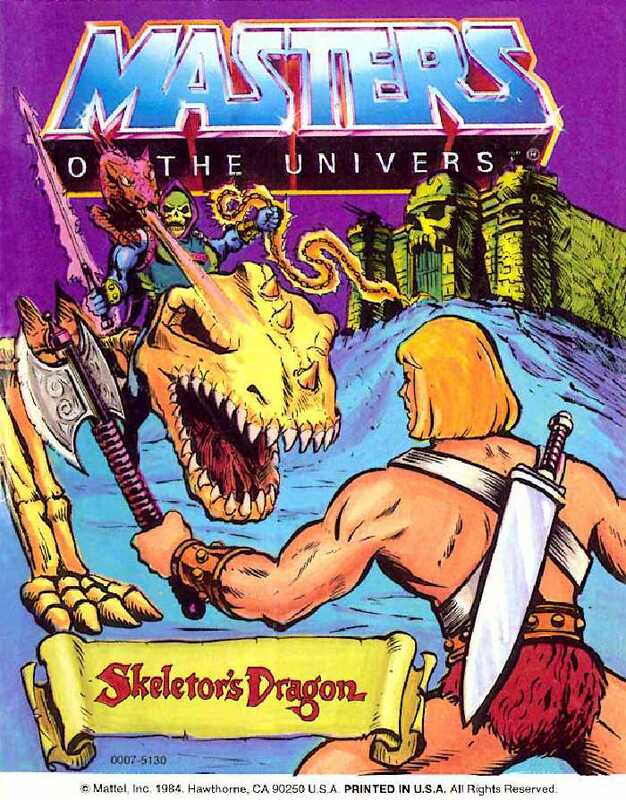 Skeletor’s Dragon is a 1984 Masters of the Universe mini-comic by Christy Marx, Peter Ledger, and Charles Simpson. Here, Skeletor resurrects and enslaves the skeleton of an extinct monster, then marches on the Royal Palace. The title has a double meaning, as this comic prominently features both Dragon Blaster Skeletor and Battle Bones. Toy plugging aside, however, this is a quality story with some really good scenes, including He-Man at the fair and Battle Bones’ story. The art is solid, although the inks can be a little sloppy. The backgrounds are great – when they get drawn. The layouts are excellent, and the tug of war scene is a highlight. As far as continuity, we’ve made the inexplicable move from the all-white Sorceress to the all-pink Sorceress, who has a long run in the mini-comics. Even with the obvious toy plugs, this is one of the best stories we’ve seen in a mini-comic.